We are a leading Exporter of peg grafeel, tykerb tablet, tykerb, lapatinib tablets, iressa tablet and evertor from Navi Mumbai, India. We have carved out a reputed position in manufacturing, wholesaling, trading, retailing and supplying high qualityPeg-grafeel Injection. Used to prevent neutropenia due to chemotherapy, the offered medicines are tested from our end in order to deliver a quality assured range from our end. 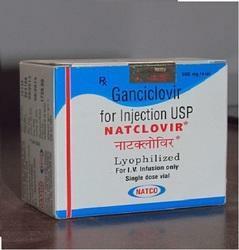 These medicines are formulated with the mixture of ingredients as per the set standards of medical sector. The medicines provided by us are taken only doctor's prescription. We hold expertise in offering optimum quality Tykerb Tablet (Lapatinib Ditosylate Tablet) to our valuable customers. 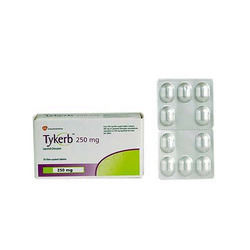 We sell Tykerb from GSK at best prices and we also have Lapatinib Generic Tablets at very good discounted prices in Mumbai or other Indian Regions as well as outside India to any other Countries of the world. we are engaged in exporting, trading and supplying Tykerb Tablets that contains lapatinib and other inactive ingredients such as povidone, sodium starch glycolate, microcrystalline and magnesium stearate. Owing to their varied attributes like best quality and correct chemical composition, the entire array is highly demanded by our clients. We offer the entire range of tablets in varied packaging options in order to fulfill the varied requirements of clients. 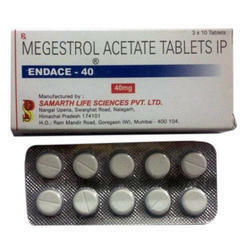 The offered tablets have been formulated in a sophisticated production unit by our reliable vendor base. We are engaged in supplying and Exporting Lapatinib Tablet. 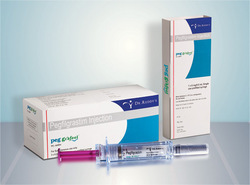 The offered injection is highly regarded by oncologists for being effective in treating cancer.We are offering a wide range of Lapatinib Tablet which are known for their quick recovery effects. 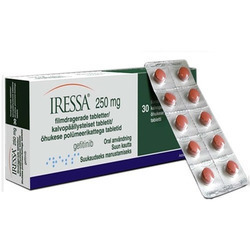 We are the leading Supplier and Exporter of Iressa Tablet. This for our esteemed customers. 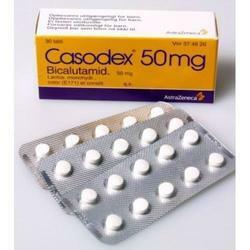 It belongs to the class of anti-cancer medications and is considered to be highly effective against non-small cell lung cancer. We make it available in a screw cap bottle packaging and at market leading prices. we have been able to introduce an exclusive range of Evertor Tablets. These tablets are considered as the protein supplements. The offered tablets are given to the patients to strengthen the protein quantity in blood. Also, the offered tablets are formulated using healthy chemical compounds and salts at vendor’s end. Further more, after several clinical tests and certification, we then offer the tablets to the clients. 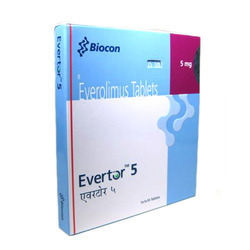 Evertor tablets contain the active ingredient everolimus, which is a type of medicine known as a protein kinase inhibitor. It works by interfering with the pathways that signal certain cancer cells to grow.The way that cells in the body work and grow is regulated by various enzymes called protein kinases. These enzymes can be found in certain receptors on the surface of cells that are involved in the growth and spread of cancer cells.In cancerous cells, the kinases make the cells grow and multiply abnormally. They also stimulate nearby blood vessels to grow into the tumour. The new blood vessels allow the cancer cells to grow and multiply by supplying them with oxygen and nutrients. We are the leading Supplier and Exporter of Tasigna Capsules. 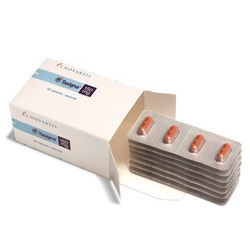 Tasigna Capsules (Generic Content-Nilotinib) is used to treat different types of leukemia. Leukemia is a type of cancer where the body makes too many abnormal white blood cells. 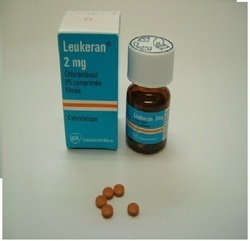 We are one of the celebrated traders and Exporter of Leukeran Tablet that are beneficial in treating different types of cancer, involving Hodgkin's disease. Recommended only after the doctor’s prescription, these effective tablets comprise of Leukeran at our vendor’s location. The proffered batch is provided in tamper proof packaging. 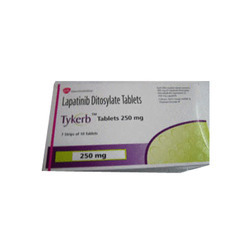 Looking for Lapatinib Ditosylate Tablet ?